A new quarterly report from the folks who brought you ’50 States of Solar’ aims to chronicle grid modernization initiatives across the US. Continue reading. The landmark investor vote requires the oil giant to begin reporting climate-related risks to its business. Solar program to shine on Wauwatosa, Wisconsin Gazette. The Midwest Renewable Energy Association will be working with the Village of Wauwatosa on the Solar Tosa group buy program. 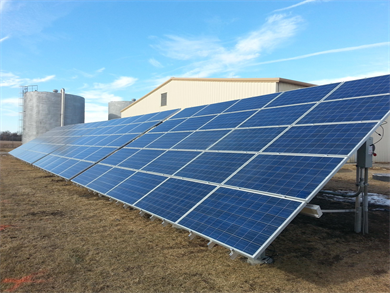 Minnesota city recognized for innovative solar project, Hutchinson News. The 400-kilowatt array is tied directly to the city’s wastewater treatment plant, helping offset energy use for the city’s largest municipal energy consumer. 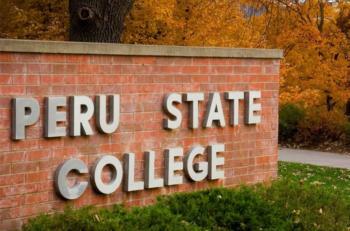 The project is the first of its kind in the state. This entry was posted in NewsBlog and tagged electric vehicle incentives, grid modernization, landmark Exxon investor vote requires disclosure of climate-related risks, Nebraskans for Solar, North Carolina Clean Energy Technology Center (CETC), North Carolina State University, renewable energy on May 31, 2017 by Helen Deffenbacher. MEAD – A new extraction well, pump house and solar [system] have all gone into operation at the former Nebraska Ordnance Plant site south of Mead. All are functioning as efficiently as hoped, according to officials offering information at a May 24 open house and site tour . . . The 17,000-acre site was used between 1942 and the mid-1960s for munitions production and storage. Removing groundwater contamination created by those operations continues to be an ongoing project for the Corps. Continue reading. 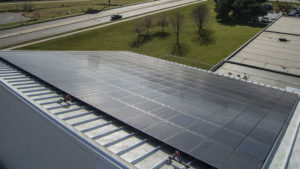 U.S. Army Corps of Engineers’ photo showing the new 25-kilowatt solar array at the Main Treatment Plant, similar in design to the two other solar systems already being used on site. This entry was posted in Nebraska / Midwest News and tagged brownfields as solar installation sites, EPA cleanup sites, Nebraska brownfieds, solar installed on brownfields, U.S. Army Corps of Engineers, U.S. Environmental Protection Agency on May 31, 2017 by Helen Deffenbacher. As a former congressman from South Carolina, I was able to learn first-hand about the critical energy issues that face our nation. We are now at a crossroads. Either we continue romanticizing about the bygone days, or we embrace innovation and lead our country down a path of resource security and economic prosperity with solar energy. I have been blessed with the opportunity to travel all over the world on mission trips and with congressional delegations. From the Middle East to Africa, global populations are, by necessity, latching on to the opportunity to use distributed solar energy for reliable, safe and less expensive power. 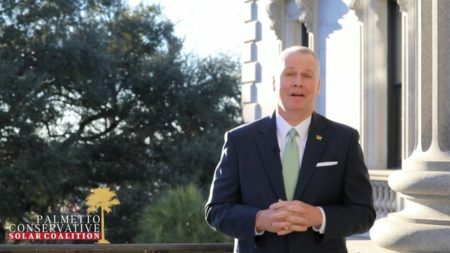 Gresham Barrett is founder of the Palmetto Conservative Solar Coalition and a former U.S. Representative for South Carolina. This entry was posted in NewsBlog and tagged Former U.S. Representative for South Carolina, Gresham Barrett, Palmetto Conservative Solar Coalition on May 30, 2017 by Helen Deffenbacher. Three Capitol Beach homeowners who want to build a neighborhood solar energy system on the west side of the lake received the first blessing they needed this month . . . City zoning code amendments approved by the Lincoln-Lancaster County Planning Commission recently would allow these mid-sized systems, if they are owned by people who live in that neighborhood, and are located on land not suited for any residential use, [Andrew Thierof, a city planner] said. The Capitol Beach system, which could have more than 300 panels, would be on an unbuildable lot owned by the neighborhood association. Read more here. This entry was posted in Community-Scale Solar, Nebraska / Midwest News, NewsBlog and tagged Capitol Beach Community Association, homeowners' community solar proposal, Lincoln-Lancaster County Planning Commission, Nebraskans for Solar on May 30, 2017 by Helen Deffenbacher. 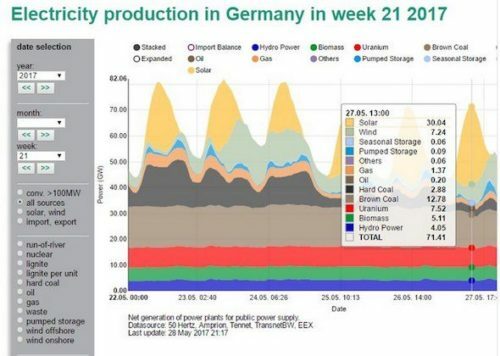 Having kicked off the month of May with a day of record renewable energy generation, Germany looks to be winding it up with a new first, with the nation’s solar PV production averaging at greater than 30GW for an hour on Sunday May 28, amounting to 42 per cent of total production (71.41GW) at that time. Continue reading. Duncan Burt, who manages day-to-day operation of the grid, said: “We have planned for these changes to the energy landscape and have the tools available to ensure we can balance supply and demand,” as reported by The Guardian. 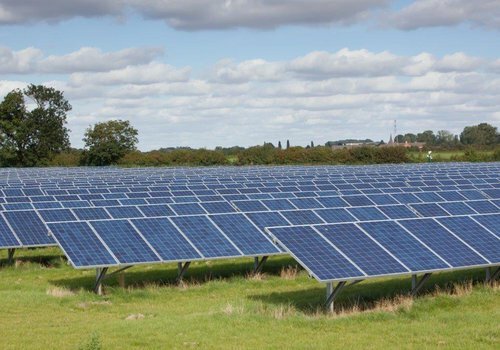 He said sunny weather over the British Isles this time of year is “really predictable, so easy to plan for,” and that the grid could handle a far greater proportion of solar power because it would allow natural gas generating facilities to be ramped down. Click here to read more. This entry was posted in NewsBlog and tagged Clean Technica, grid reliability, grid stability, Nebraskans for Solar, record solar power percentages of demand, Renew Economy, The Guardian on May 29, 2017 by Helen Deffenbacher. A pair of federal efforts could make it more profitable to turn organic waste from agriculture and other sources into energy by taking advantage of the Renewable Fuel Standard. 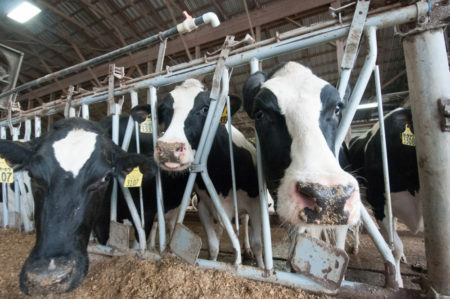 One is a bill recently introduced in the U.S. Senate that would create a 30 percent investment tax credit for qualifying biogas and nutrient-recovery systems. That would put renewable compressed natural gas on a similar footing with solar and wind energy. A separate approach, currently before the Environmental Protection Agency, aims to create a pathway that would pay biogas producers for providing power for electric vehicles. Read more. This is the lowest price that PV Magazine has seen in the United States to date. This entry was posted in Nebraska / Midwest News, NewsBlog and tagged anaerobic biodigesters, bioenergy, federal investment tax credit, green builders, grid relability, microgrids, net-zero energy communities, Renewable Fuel Standard, solar energy jobs, the price of solar on May 26, 2017 by Helen Deffenbacher. Governor Terry Branstad has stepped down [to serve as U.S. Ambassador to China] and Lieutenant Governor Kim Reynolds has become the 43rd governor of Iowa. . . She told an audience Wednesday at the Iowa Capitol she wants to reform the state tax code and encourage innovation in energy production, especially wind power and renewable fuels. She wants to stress science, technology, engineering and math education in K-12 schools and expand workforce training for adults. Read more here. 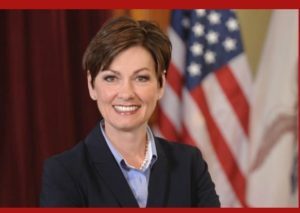 This entry was posted in Nebraska / Midwest News, NewsBlog and tagged Iowa Governor Kim Reynolds, Nebraskans for Solar, renewable energy development in Iowa, STEM education in Iowa on May 26, 2017 by Helen Deffenbacher. In an effort to lower utility costs and further the city’s sustainability initiative, South Sioux City will take part in a statewide wind energy project headed up by NextEra Energy Resources, LLC. 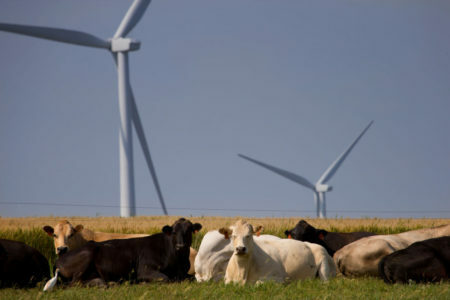 The project is the Cottonwood Wind Energy Center, which is a series of wind turbines located in Webster County, Neb., connected to an electrical grid that flows throughout the entire state. Construction on the project will start up within the next week and will complete in November, said Phil Clement, project developer with NextEra Energy Resources LLC. Photo by NextEra Energy Resources: Wind turbines that are part of the Steele Flats Wind Energy Center in Jefferson and Gage Counties in Nebraska. Proposed Cottonwood II Wind Energy Project: Wind Energy Generation in Nebraska, Nebraska Energy Office: Eighty–nine (89) turbines are planned for the Cottonwood II Wind Project which will span an area across north-central Webster County. Maximum capacity will be 150,000 kilowatts (150 megawatts). 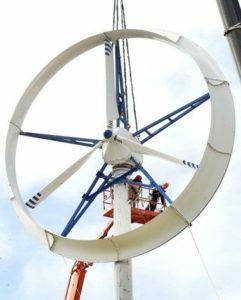 The turbines are to be constructed by Infinity Wind Power. South Sioux City’s Solar Park: 2.3-megawatt array (1,200 panels) located on a 21-acre solar park south of the city, alongside C Avenue. The array generates enough energy to provide 5% of South Sioux City’s electrical needs. This is the first Nebraska project for California-based developer Solar City, a Tesla Motors subsidiary. This entry was posted in Nebraska / Midwest News, NewsBlog and tagged renewable energy development in Nebraska, South Sioux City's electric cars initiative, South Sioux City's Exemplary Sustainability Initiative, South Sioux City's hydroelectric project, South Sioux City's Solar Park, South Sioux City's wind energy on May 26, 2017 by Helen Deffenbacher.